The CE-607 is designed to fit 2009- 2011 FLH/FLT models without an oil cooler. Starting in 2009 the single front motor mount was replaced with two side motor mounts. This allows us to eliminate the regulators tall legs giving the regulator a clean custom look. This regulator will not fit with low mount oil coolers. 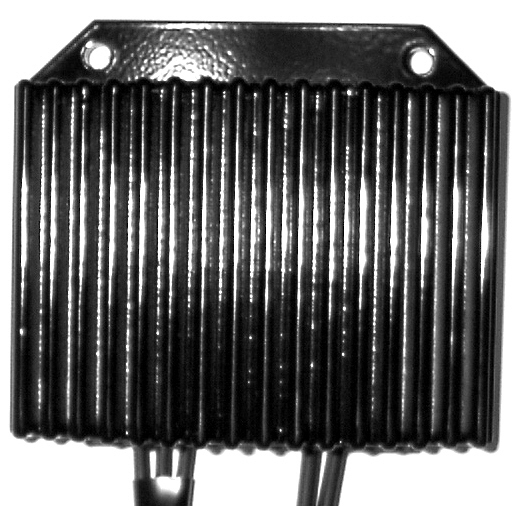 If you have an oil cooler see the CE-608. Cycle Electric Inc CE-600 series regulators are designed for use with three phase stators.To determine if you have a three phase system count the number of wires from the stator to the regulator. The three phase system will have three wires. The single phase will have two. The CE-603 is a three phase regulator that will fit on 1984-up FLH/FLT and all FXR models. It was designed for use with the CE-61A three phase upgrade kit. It can be used with any three phase stator. The CE-606 is designed for use 2006-2008 FLH-FLT with stock connectors. The CE-204NB is specially tuned for use with no battery only with 22 amp stators. A battery eliminator must be used. A magneto is required for ignition. The CE-602 is designed for use on stock 2004-05 Dyna models. The CE-602-06 is designed for use on stock 2006-2007 Dyna models. The CE-602-08 is designed for use on stock 2008-2016 Dyna models. The CE-604 is designed for use with the CE-62A 38 amp three phase alternator kit. The CE-604NB is specially tuned for use with no battery only. The CE-601 is designed for use on stock 2001-2007 Softail. 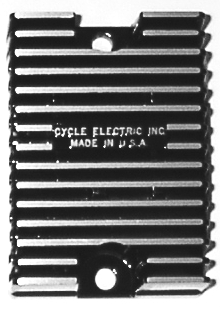 The CE-601-07 is designed for use on 2007 Softail. 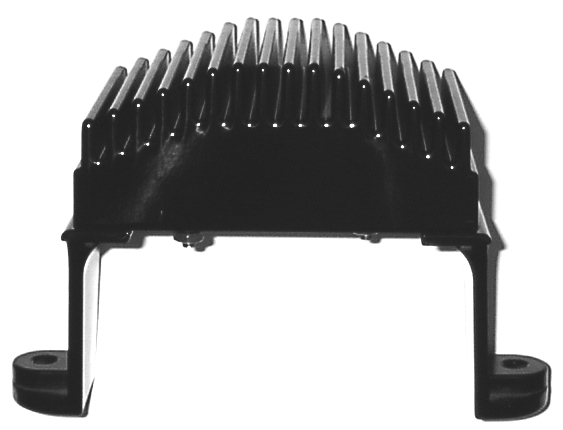 The CE-601-08 is designed for use on 2007-2016 Softail. The CE-445 series is designed for use on all FL models with a 38 or 48 amp alternator and is offered in four styles. The CE-445 has threaded stud terminals to ensure reliable connections. It can be used with existing wiring or with a Cycle Electric wiring kit. The CE-445-97 is a CE-445 regulator with a CE-437 wire kit to fit all 97 to 01FLT/FLH models. The CE-445-02 has permeably connected wires and a mounting bracket for the stock stator plug. It fits 02-03 all FLT/FLH models. The CE-445-04 is the same as the -02 but has a connector on the battery wire used on 04-05FLH/FLT. All CE 200 series regulators (CE-203-CE-212) share the same internal circuitry. Each model has different wires and plugs to mate with a specific stock motorcycle.They are designed for use on 18 - 22 and amp systems. All CE-300 series regulators (CE-320-CE-345L)share the same internal circuitry. Each model has different wires and plugs to mate with a specific stock motorcycle.They are designed for use on 32 amp systems. The CE-204L CE-320L and CE-325L are specially tuned for hotter running batteries on Softails and customs with horse shoe oil tanks. CE-200, CE-300 CE-400 and CE-600 Series Rectifying Regulators for use with permanent magnet alternators. A more efficient approach to rectifying regulators. To control voltage on Harley-Davidson alternators other rectifier regulators dump current to ground. This causes maximum stator current and temperature at all times. Cycle Electric rectifying regulators block current to control voltage. This reduces stator current resulting in lower temperature and less drag on the motor which means more efficient operation. The largest and most noticeable benefit is a smoother charge to the battery. This means less battery maintenance and longer battery life. The CE-608 is designed to fit 2009-2013 FLH/FLT models with the factory oil cooler. The high mount regulator hangs from the upper cross member on the front frame down tubes. 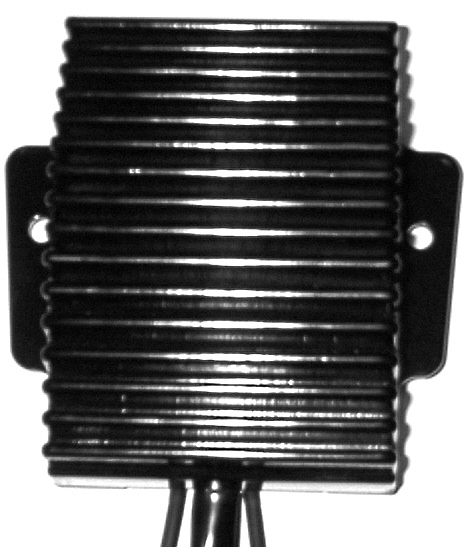 This keeps the regulator away from the hot oil cooler to ensure long service life. Cycle Electric Inc. does not recommend installing an oil cooler in front of any regulator. Regulators are solid-state electronic devices that produce heat. They need a flow of cooler air to dissipate this heat. As the temperature of a solid-state device is increased, the probability of failure is increased. If the regulator gets hot enough it will fail. An oil cooler placed in front of the regulator will put the heat from the motor into the regulator. This is not a good idea.